MANILA, Philippines – State auditors discovered two gold watches bearing the faces of the late President Ferdinand Marcos and wife Imelda along with a collection of millions of pesos worth of diamonds, silver, and foreign currencies in a neglected vault of the Bureau of Treasury (BTr). The Commission on Audit (COA) report released in May did not identify the original owners of the items although the diamonds – worth at least a P2 million (US$44,883*) – were listed in the treasury books as “escheated items.” It means they are valuable objects that reverted to the ownership of the state either because there is no valid claimant, or because of an owner’s failure to pay fees. “These items were never appraised nor recorded in the BTr’s books since they were surrendered to the BTr resulting to the understatement of the total assets reflected in the Financial Statements,” said COA. 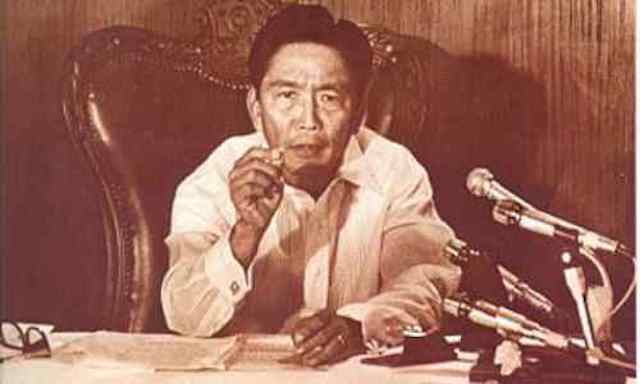 Marcos ruled the Philippines for 20 years until February 1986, when he was ousted in the EDSA People Power Revolution, a bloodless revolution that forced the dictator out of Malacañang, and into exile. Decades later, his family made a comeback in Philippine politics. His son and namesake is a senator, Ferdinand Marcos Jr. His wife Imelda is Ilocos Norte representative while daughter Imee is the governor of the same province. COA instructed the treasury to engage the services of a reputable appraiser to determine the value of the coins. The appraisal of the diamonds, which were last checked in 2008, also need updating. COA was also concerned that the vault that stored the valuable items was in a room rented out to the Home Development Mutual Fund or Pag-IBIG. The person that is supposedly in charge of the vault is holding office in another building, putting the items at risk of being lost. The items also need to be insured with the Government Service Insurance System to protect government interest in the event of loss, theft or damage, COA added.